Visitors have started to spot our Bennett’s wallaby joeys who are having their first nosey at the outside world! 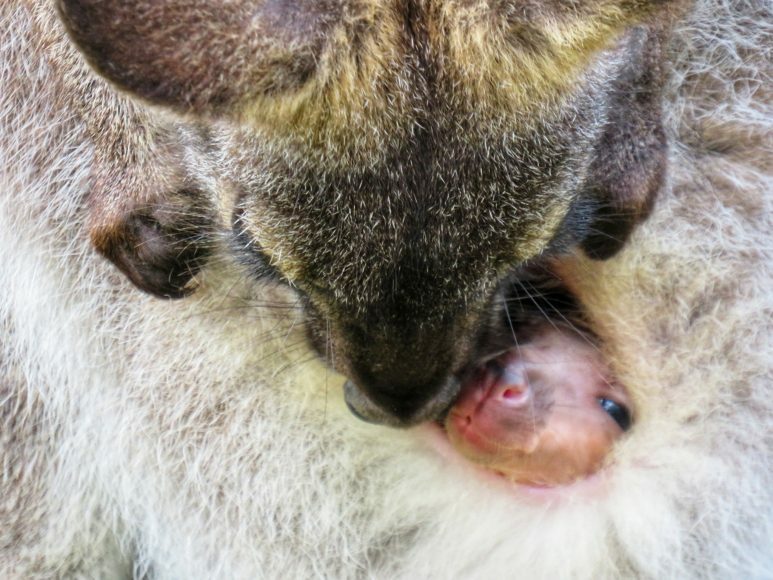 These fab photographs were captured by Charlotte Christy of a joey enjoying the first sniff of springtime air in the walkthrough exhibit while still inside its mother’s pouch. 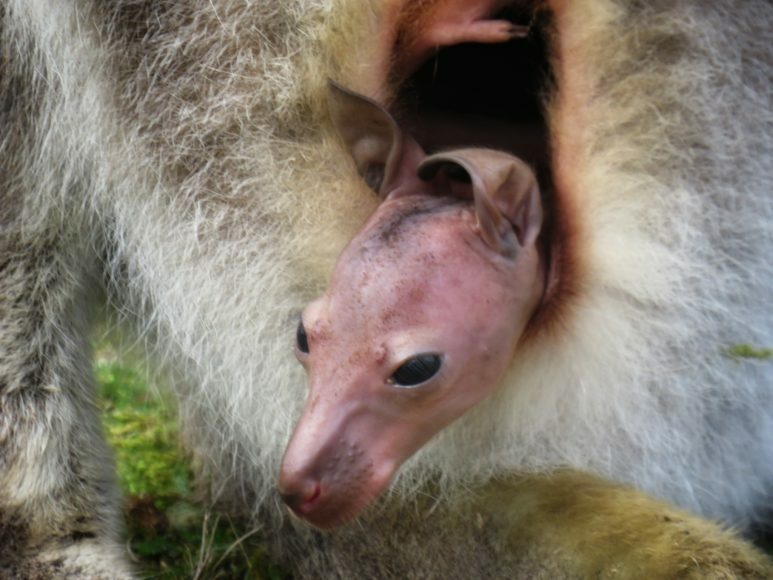 Assistant Curator Jay Haywood, said: “We’ve seen two joeys this year and this pictured one would be around 30 weeks old, as it’s still hairless and hasn’t yet fully taken the leap and appeared outside the pouch, so it was a great spot by our visitors. Females give birth to a single baby after a gestation of 30 days. 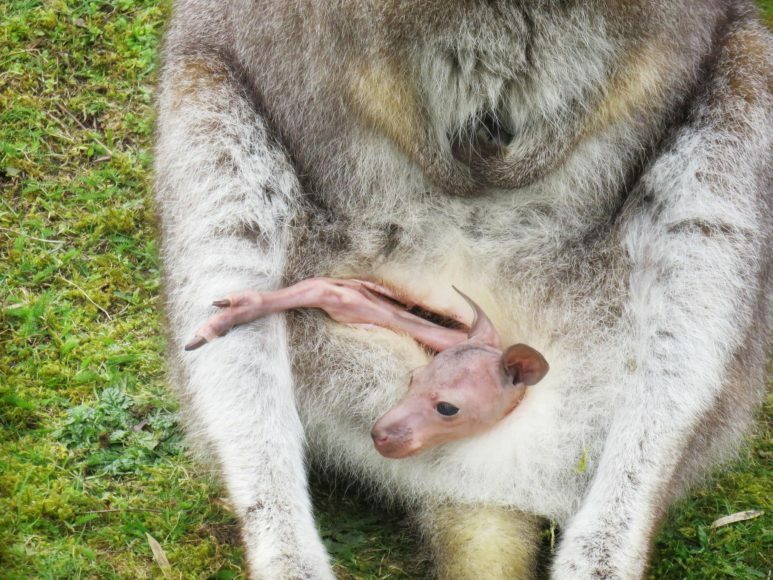 The baby, which isn’t fully formed, will crawl up into the mother’s pouch where it latches onto a teat and continues to develop until it’s ready to venture out around seven months later. Thanks for sending the photos, Charlotte! Next: Exciting update from badger watch!